German tuning house creates wicked aftermarket package for Porsche’s rapid sedan. 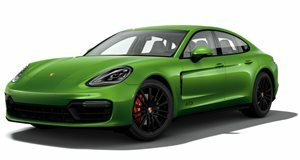 Hoffenheim-based tuning house No-Limit-Custom recently revealed a series of visual enhancements for the Porsche Panamera. An aggressive design was cut from high-quality carbon fiber, with the aero kit made up of a new front bumper, hood, side skirts, roof spoiler and bumper with integrated rear diffuser. The customized Panamera rolls on 22-inch 5-spoke forged aluminum wheels made in-house of high-tensile aluminum and finished in matte gold. However NLC can cater to individual requests for customers with a particular wheel design in mind. Finally the V8-powered super sedan has been given an enhanced engine note thanks to a custom sports exhaust system with a choice of black or polished exhaust tips. The package is suitable for all Panamera models, including the hybrid, diesel and Turbo S.